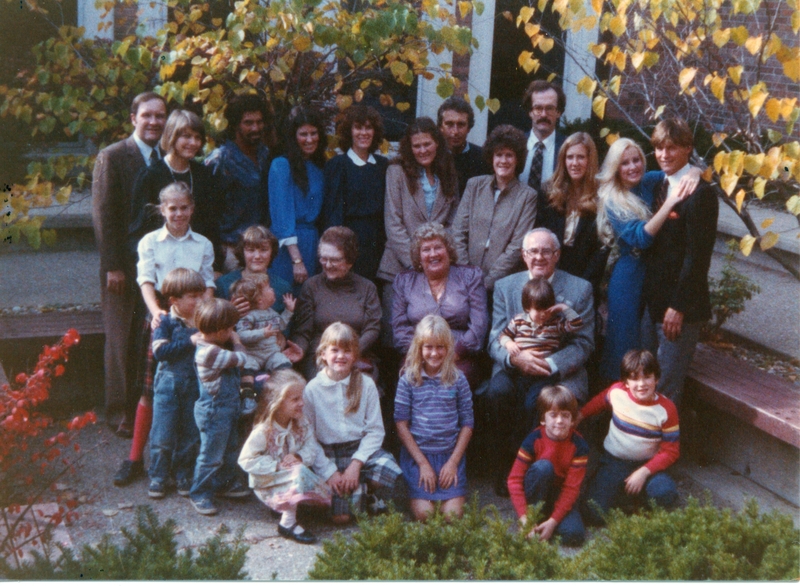 Ley family reunion, 1984. Among other October family milestones, grandparents Bob and Sue Ley celebrated 63 years of marriage every October 16, from 1943 through 2006. Well, there’s no time like October and Family History Month to get my typing fingers — and this blog — back in gear. So here, in honor of the birth of the newest Foutz, Caden Harman, on October 4, 2012, to proud parents Dan and Laura (Hicks) Foutz, is a rundown of family milestones for the month. Great-great-great-great grandfather Henry Powell was born in 1814 in London, England, but set sail for America with his parents, four older siblings and one younger sibling when he was 3. After blowing through the family’s fortunes as they faced the deprivations of frontier life in Virginia, they soon settled in Bakersville, near Coshocton, Ohio. Henry thrived as a farmer, tripling the size of his original homestead to 300 acres. At 96 years, 7 months and 9 days, his is the longest confirmed lifespan of any of my ancestors. In 1783, in Brecknock, Breconshire, Wales. 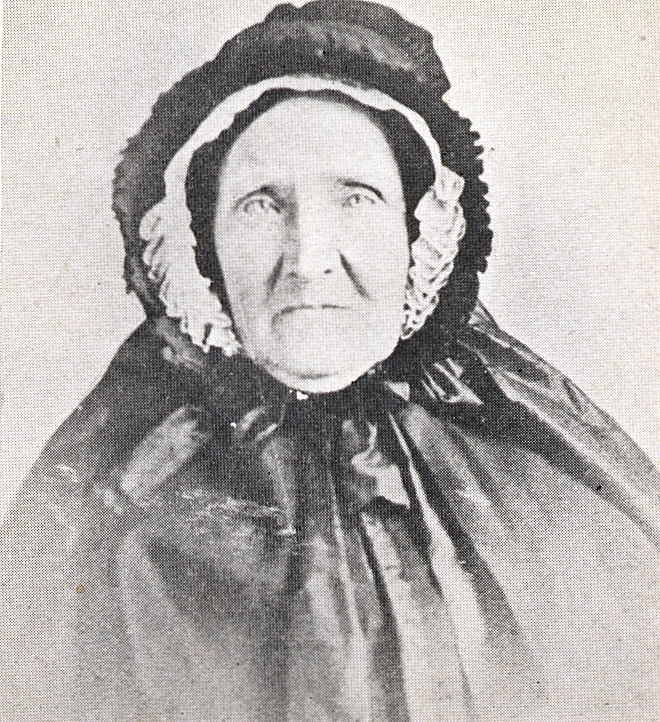 Our fifth great-grandmother set sail from England for America with her husband and six young children at 37 years old. In America, she would raise another six more. In 1865, in Harrison County, Ohio. Foutz family legend has it — as recorded in a 1910 history book — that Rebecca was born on the same Foutz homestead as her eventual husband. Whether that was third-great-grandfather Gideon Pfouts’s place or even way back at Michael Pfouts’s spread a township over is unknown, but the two childhood playmates were eventually wed, and went on to raise seven children, first on a farm of their own, and later in a path that wound its way to Dover, Ohio, where our family would remain in a new century. 5 — Birthday of Charles Johnson Jr. In 1922 in New Philadelphia, Ohio. One of 10 children born to my great-grandparents Charles and Viola Johnson, and closest in age to my grandmother Erma (Johnson) Foutz (see below), Charles was one of three brothers to die tragically in water-related accidents, succumbing, at 17, to a diving accident in 1939. 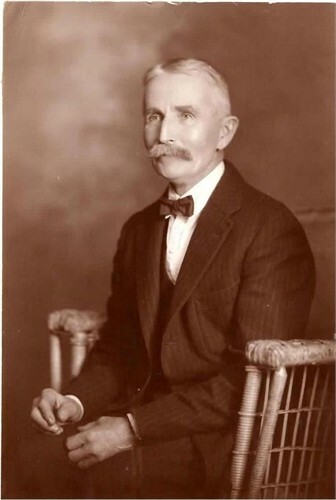 Born in 1839 in Shanesville, Ohio, Great-Great-Great Grandpa Augustus Ley was the third child of Bavarian immigrants Karl and Susanna Ley. 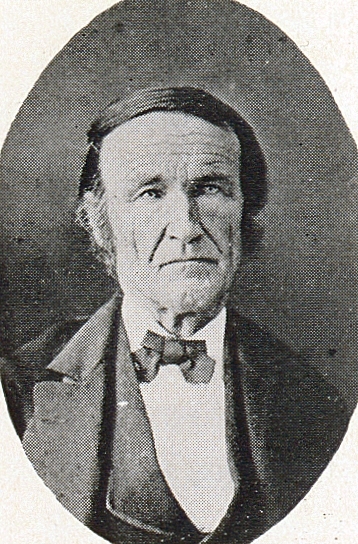 Though his father was a prominent saddler in Shanesville, Augustus set up shop down the road and river in Port Washington. He was merely one of several Leys to run a successful dry goods or grocery store, and for years his business was situated prominently on the canal in Port Washington. In 1943, in Oxford, Ohio. Grandma and Grandpa Ley were married 63 years. Born in 1852 in Harrison County, Ohio, Great-Great-Grandma Amanda Palmer made her life with husband George on their farm near Scio long after her parents and siblings lit out for Osage County, Kansas. She was mother to 10, the youngest of whom was daughter (and my great-grandmother) Viola Mae (Palmer) Johnson. 1856 in New Philadelphia. 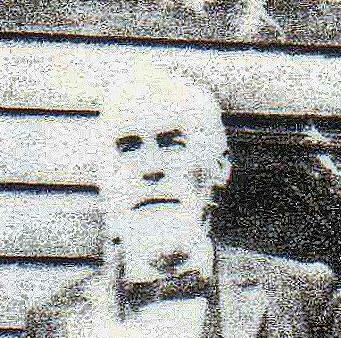 Great-Great-Grandfather J. W. Fisher farmed in Stone Creek, just outside New Phila city limits, where his father George had farmed for decades prior. 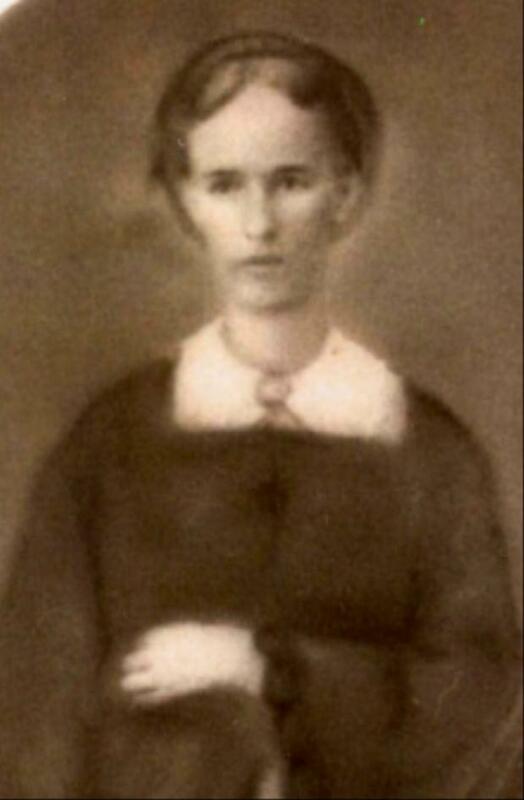 After his daughter, my great-grandmother, Mary Zula Lucrece (Fisher) Ley, died tragically in 1920 at age 24, an infant Robert Earl Ley Jr. was sent to live with J.W. and wife Addie May (Smith) Fisher while his father Robert Ley Sr. grieved. 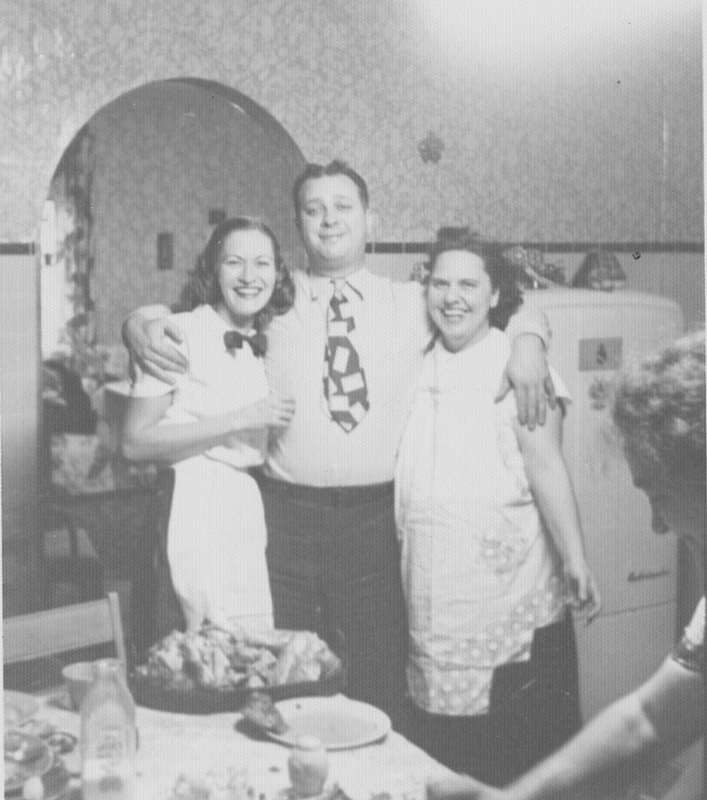 Pictured on Thanksgiving Day, 1949: Great Uncle Roy Foutz, flanked by sisters-in-law Erma (Johnson) Foutz and Louise (Moore) Foutz. Reaching in is Great-Grandma Laura Foutz. Great Aunt Louise, wife to my grandpa Don’s older brother, Carl Foutz, and mother to “Buzz” and Donna, kept up a close correspondence with family back in Dover decades after her family moved to Florida. Born in 1913 in West Virginia, she is buried with Great Uncle Carl in Maple Grove Cemetery in Dover. 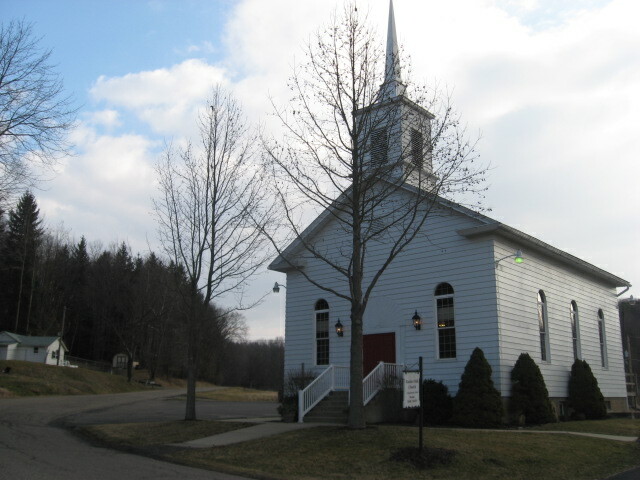 The church in the Ruslin Hills, Dover, Ohio where Vance and Laura Foutz were married in 1907. A portion of the property sat on Laura’s family farm. In 1907 — 105 years ago this month — Great-Grandparents Vance and Laura Foutz were married at Ruslin Hills Church on the north end of Dover, Ohio. He was barely 20, only just employed in the steel mill where he’d work for the next five decades, and she was a farm girl with native German parents, both immigrants from Wuerttemberg. They both had lost fathers while still in their young teens; his, in 1900, and hers in 1897. Their marriage would last more than 49 years, until death took Laura, in 1956. 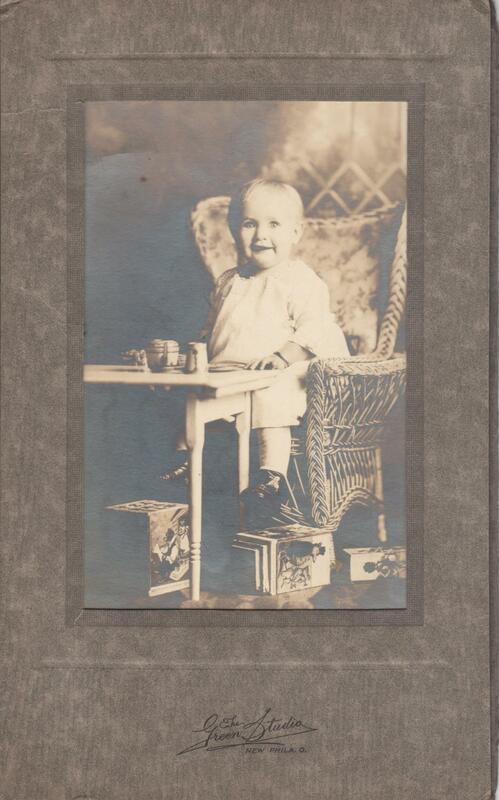 Erma Johnson as a baby, about 1920 or ’21. In 1920 in New Philadelphia, Ohio. Grandma Foutz was fifth of ten children born to Charles and Viola (Palmer) Johnson. She lived her whole life in the New Philadelphia and Dover, Ohio area, but wintered in Green Valley, Arizona and traveled the world with her second husband, Max. It’s been 13 years since we celebrated a birthday with you, grandma, and we all miss you. 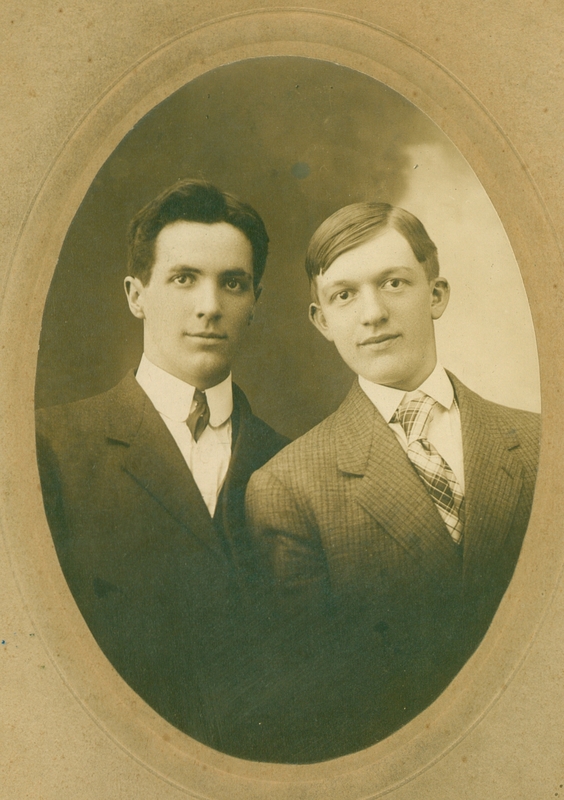 Brothers Vance (left) and Charles Foutz, about 1905-1907. In 1885, on the farm south of Bowerston. Charles was the sixth of seven children born between 1867 and 1887 to Great-Great-Grandparents Jonathan and Rebecca Foutz, and closest in age to my great-grandpa Vance Cleveland Foutz. Following the death at 55 of their father, the two youngest sons were just teenagers when they went to work coal mining to support their widowed mother. Eventually, their traveling took them to Dover, Ohio, where Vance settled, while Charles moved across the river to New Philadelphia. 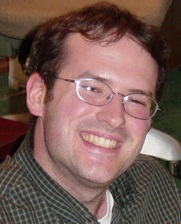 Father of four, he died tragically young, of pneumonia, at just 32. 42 years young this year! Fine Buckeyes don’t age, Doreen, they just learn to make wine. And that concludes our wrap-up of October milestones. Make it a memorable one, everybody!